This entry was posted in My Art in General on April 14, 2013 by nancy. I found you! good job! Found you, too! Love the painting! Wow! What a great way to share! Love the pic…makes me crave vacation! Look forward to seeing more. 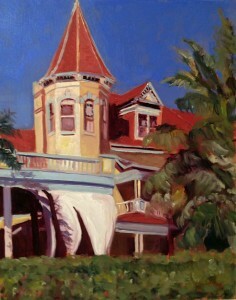 Beautiful work Nancy, nice to see that Key West is alive well within your paintings. nice job on the website the old chevy truck on Thomas perfect and nice job on the Southernmost painting.